Wolves – Briana's Fabulous Blog! If I had to pick a favorite animal I would have to pick a Wolf. I don’t know why but I really like them,I would also pick a dog but they’re similar to the the wolf. 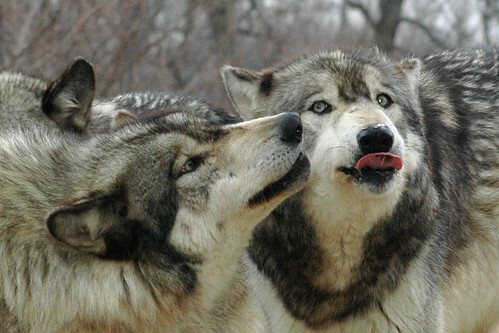 I think wolves are so adorable and so cute,and I would do anything just to get one of my own. I had seen a big pack walking when me and my family were hiking, the pack was so cut there were a lot of big wolves and then from a far distance I could see little ting wolves following the wolves.I wish, Valerie via Compfight I could see that again.